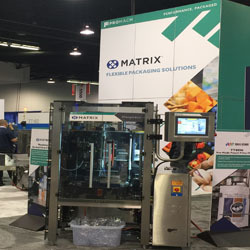 SAUKVILLE, Wis., February 5, 2019 – At WestPack, (February 5-7 at the Anaheim Convention Center in Calif.), Matrix Packaging Machinery, a member of the ProMach family of brands, will demonstrate several machines to help customers select the right flexible packaging solution for their unique needs. Morpheus,a continuous motion machine that creates bags at up to 200 bags per minute, is the most advanced in the company’s history in overall speed, film handling, and lowest overall cost of ownership. Morpheus is ideal for thinner gauge films used for packaging coffee, snacks, spices, cheeses, dried fruit, and other dry products. In addition to handling thinner films, the specialized Morpheus sealing jaws enable the machine to run thicker gauges that require longer dwell times for such applications as frozen, IQF, and fresh cut foods. AutoProTM, a standard feature on Morpheus, provides accurate, trouble-free and rapid changeover – faster by – a minimum of 50 percent over typical v/f/f/s changeover times. AutoProTM does this by using servo mechanisms to make the critical adjustments, freeing up the operator to do other needed changeover tasks. The positions of the various adjustments are saved in the product recipe. All an operator needs to do is replace the forming tube with the new one and load the correct film. Each critical mechanical adjustment is then automatically returned to the position from the last time that job was saved. Not only does this system facilitate much faster change-over, it also greatly reduces film scrap. Stop by Matrix and learn more about AutoProTM. The Toyo Jidoki TT-8D-N pre-made pouch filler/sealer delivers flexibility for pouch formats – flat, stand-up, retort, and press-to-close. This pre-made pouch filler and sealer is designed for packaging frozen foods, seafood, snacks, rice and other grains, noodles, pet foods, and granular and powder products. 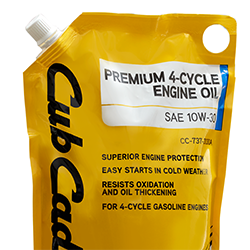 Toyo Jidoki engineering delivers precision pouch sealing capabilities regardless of film type or gauge. Accessories include a product feeding hopper, product discharge conveyor, pouch opening follow-up guide, product counter, heater disconnection alarm, and pouch opening detection device. The INV Pack BY3 multilane stickpack machine is ideal for low-to-medium production rates of quality stickpacks with minimal investment required. Output ranges from 150 stickpacks per minute for a three-lane operation to 350 per minute with seven lanes. The machine's rugged ergonomic design enables easy cleaning and requires low maintenance. Options include: laser, ink jet, hot foil printing, and patented "built-in" laser for easy opening pre-cut. Wexxar Bel, a ProMach company (booth #5221) will also be demonstrating a live "mini-line" that integrates several machines to produce a final customer-ready product. The line will form, fill, seal, and deliver the newly created product for final packaging to the end customer. The Matrix Mercury, a v/f/f/s machine is known for high performance, speed, dependability and a completely configurable solution for both small and large bags. It's ease of operation, minimal maintenance requirements, small footprint and "SmartJaw" ST horizontal sealing technology are among the many benefits of this machine. Working in conjunction with a Spee-Dee Volumetic cup filler, they can produce a complete package. The finished package will then travel along a Joy Conveyor to arrive on a Wexxar Rotary table where it will be picked and packaged into boxes produced on the Flex E Pack. 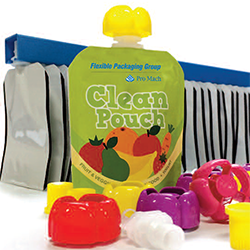 The Wexxar Bel, Flex E Pack is the ultimate "all-in-one" case packaging system. This single integrated system will handle case forming, packing and sealing needs. The Wexxar Bel Flex E Pack is ideal for customers looking to automate their packaging lines beyond semi-automatic machinery, providing an easy, fast, compact and ergonomic solution. The standard system is designed for a single operator packing station but can be upgraded depending on requirements. The standard Flex E Pack system comes with the DEKKA 500 Fully Automatic Case Former, Case Packing Station and Conveyor, and the BEL 250 Fully Automatic Case Sealer. The system can be upgraded depending on customer needs. Stop by the Wexxar Bel (booth #5221) to see a live demonstration. Or visit wexxar.com for more information. Visit us at the ProMach section of WestPack to learn more. Matrix (booth #5231) to see live demonstrations of the Morpheus with AutoProTM, Toyo Jidoki TT-8D-N, and INV Pack BY3 and visit Wexxar Bel (booth #5221) to see the Mercury product line, and more Wexxar Bel machines and more. For more information, call 888-628-7491 and visit www.MatrixPM.com for the full range of Matrix offerings. 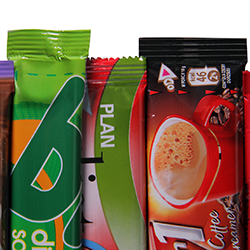 Rugged, cost competitive, and easy-to-use, Matrix packaging systems include vertical form fill seal equipment for all types of flexible packaging, as well as INV PACK stickpack and sachet machines, Toyo Jidoki pre-made pouch machines, and FLtècnics rollstock pouch machines. 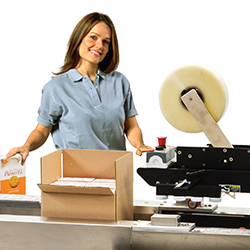 As part of the ProMach Flexibles business line, Matrix helps our packaging customers protect and grow the reputation and trust of their consumers. ProMach is performance, and the proof is in every package. Learn more about Matrix at www.MatrixPM.com and more about ProMach at ProMachBuilt.com.